For All Skin Types: Multi-action peptides peel and uncover a smooth, fresh complexion without irritating or causing skin stress. Removes impurities and decongests clogged pores for a youthful, radiant look. Antioxidant-packed Borage and Evening Primrose Oil help fine lines and wrinkles disappear. Plant essences, collagen, and the nourishing benefits of pure Algae Extract cause visible effects as well as long-lasting changes. 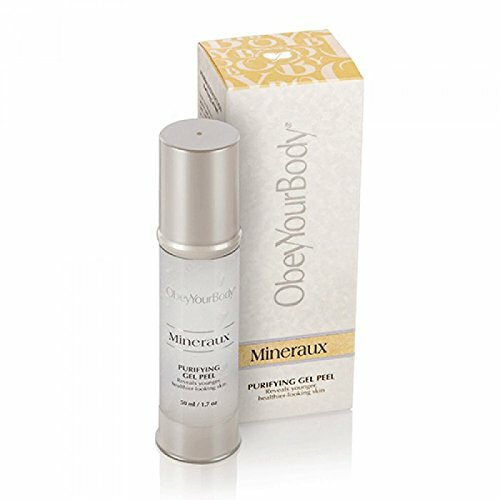 For best results, use with MINERAUX Replenishing Daily Moisture Sunscreen Cream SPF-15 and MINERAUX Overnight Restorative Cream. If you have any questions about this product by Obey Your Body, contact us by completing and submitting the form below. If you are looking for a specif part number, please include it with your message.